People who spend more time behind the wheel to get to work tend to have larger waistlines and higher blood pressure that strain their hearts, a U.S. study finds. Since that time is generally spent sitting, researchers wanted to see how commuting distance related to health. "This study yielded new information about biological outcomes and commuting distance, an understudied and habitual source of sedentary behaviour that is prevalent among employed adults and important for individuals with the additional exposure of occupational sitting," lead investigator Christine Hoehner of Washington University in St. Louis, Mo., and her team concluded in the June issue of the American Journal of Preventive Medicine. "The findings suggest that commuting distance is adversely associated with moderate-to-vigorous physical activity, cardiovascular fitness, adiposity, and blood pressure but not blood lipids or fasting glucose." Hoehner's team studied nearly 4,300 workers in the Dallas, Fort Worth or Austin metropolitan areas of Texas. Commuting distances were measured for roads and the participants had medical exams, including treadmill tests to assess their heart and lung fitness at some point during the 2000 to 2007 study period. Participants also reported their physical activity levels during the three months before the start of the study, which was supported by the American Cancer Society, U.S. Centers for Disease Control and Prevention, U.S. National Institutes of Health and Communities Foundation of Texas. A commute of over 16 kilometres was linked with higher blood pressure levels. People who drove longer distances to work reported less frequent participation in moderate to vigorous physical activity and decreased cardiovascular fitness, and had greater body mass index, waist circumference, and blood pressure. The link remained when physical activity and cardiovascular fitness were taken into account in the analysis. An earlier study by Prof. Lawrence Frank, a University of British Columbia researcher, found that for each additional hour in a car, there was a six per cent increase in likelihood of obesity. Stress could also be playing a role, the U.S. researchers said, especially if commuters faced travel congestion. People with long commutes were more likely to live in suburbs that often aren’t built with promoting physical activity in mind. According to another study, Canadians seem to be better off when it comes to their commutes to work. 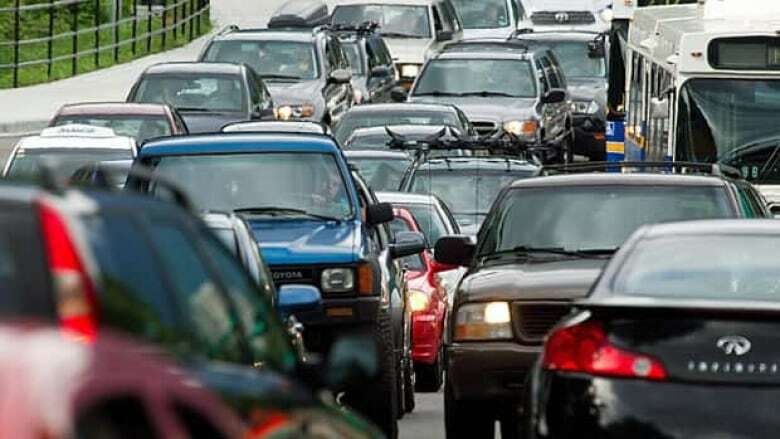 Canadian commuters took an average of 26 minutes to travel to work on a typical day in 2010, including all modes of transportation, Statistics Canada said. About 82 per cent of Canadian of commuters travelled to work by car, 12 per cent took public transit and six per cent walked or bicycled. "The happiest cities in the world happen to have the highest rates of cycling, so it's not just for the environment, not just for your physical health, but for your mental health, too," said Janet Barlow, active transportation co-ordinator with the Ecology Action Centre in Halifax. The group works with schools in Nova Scotia to get more kids walking and biking to school, and teaches safety skills for pedestrians, cyclers, in-line skaters and skateboarders. The researchers lacked information about the actual distance travelled, which could be affected by traffic or child care duties, as well as other sedentary time like sitting at work or while watching TV. The team called for strategies at home, work and in the community to mitigate the harm from long commutes. That includes community planning and land use patterns, Barlow said.